A top Canadian official apologized for a government training manual which listed the United States and Israel, two strong allies, among countries where prisoners face torture and abuise. In a statement, Foreign Affairs Minister Maxime Bernier said he regretted the embarrasement caused by the public disclosure of the manual, which had been developed to train foreign service employees how to deal with Canadian citizens who are detained overseas. "It does not convey the government's views or position," he said. According to Bernier, the manual "wrongly includes some of our closest allies," and stressed that the manual "is neither a policy document nor a statement of policy." Bernier said the manual would be rewritten, no details were provided. 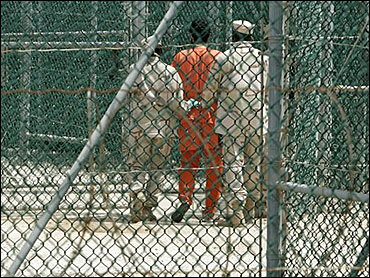 The document singled out the U.S. prison at Guantanamo Bay as a site of possible abuse, citing interrogation techniques such as stripping prisoners, blindfolding and sleep deprivation. It also named Israel, Afghanistan, China, Egypt, Iran, Saudi Arabia, Mexico and Syria as places where inmates could face torture. The listing drew a sharp response from the U.S., a key NATO ally and trading partner, which asked to removed from the manual. "We find it to be offensive for us to be on the same list with countries like Iran and China. Quite frankly it's absurd," U.S. Ambassador David Wilkins told The Associated Press. "For us to be on a list like that is just ridiculous." He said the U.S. does not authorize or condone torture. "We think it should be removed and we've made that request. We have voiced our opinion very forcefully," Wilkins said. Michael Mendel, the Israeli Embassy spokesman, said Israel's Supreme Court "is on record as expressly prohibiting any type of torture. If Israel is included in the list in question, the ambassador of Israel would expect its removal," he said. A Canadian citizen, Omar Khadr, is in custody at Guantanamo. His lawyers claim that Khadr, who was arrested in Afghanistan at age 15 back in 2002, has been tortured, but Canada has long publicly said it accepts U.S. assurances that Khadr is being treated humanely. The government inadvertently released the manual to lawyers for Amnesty International who are working on a lawsuit involving alleged abuse of Afghan detainees by local Afghan authorities, after the detainees were handed over by Canadian troops. Dennis Edney, one of Khadr's lawyers, said the foreign affairs document shows that Canada says one thing publicly but believes something else privately. "Canada was well aware that Omar Khadr's allegations of being tortured had a ring of truth to it. Canada has not once raised the protection of Omar Khadr when there are such serious allegations," Edney said. "What does that say to you about Canada's commitment to the rule of law and human rights? It talks on both sides of its face."